» Imagine if Hurricanes Harvey and Irma were predicted the same way CVD is predicted today! Imagine if Hurricanes Harvey and Irma were predicted the same way CVD is predicted today! Imagine if hurricanes Harvey and Irma were predicted the same way CVD is predicted today: an estimated 10-year risk prediction! Imagine if the weatherman says there is a 7.5% chance of a category 5 hurricane in the next 10 years. Do you think people would take immediate preventive actions like boarding up their windows, buying hurricane supplies, or even changing their daily routines??? Most likely not, because long term predictions do not trigger immediate preventive actions. This is why Cardiology needs a short-term predictor (preferably 6-12 month forecast), and we (SHAPE and collaborators) are going to create it. to find out how we are using machine learning and existing cohorts to tackle this problem. Join thousands of doctors, nurses, and other cardiovascular professionals at the upcoming 2017 scientific sessions of the American Heart Association and learn about SHAPE’s initiative to develop a short-term CVD risk predictor. AHA 2017, November 13, 3:40 PM, Orange County Convention Center, Anaheim, California. The Society for Heart Attack Prevention and Eradication (SHAPE) is a non-profit organization that promotes education and research related to prevention, detection, and treatment of heart attacks. SHAPE is committed to raising public awareness about revolutionary discoveries that are opening exciting avenues to prevent heart attacks. SHAPE’s mission is to eradicate heart attacks in the 21st century. Additional information is available on the organization’s website at www.shapesociety.org or by calling 1-877-SHAPE11 or 713-529-4484. The SHAPE Task Force, an international group of leading cardiovascular physicians and researchers, has created the SHAPE Guidelines, which educates physicians on how to identify asymptomatic atherosclerosis (hidden plaques) and implement proper therapies to prevent a future heart attack. According to the SHAPE Guidelines, men 45-75 and women 55-75 need to be tested for hidden plaques in coronary or carotid arteries. Individuals with high risk atherosclerosis (high plaque score) should be treated even if their cholesterol level is within statistical “normal range.” If they have plaques, the so-called normal is not normal for them. The higher the amount of plaque burden in the arteries the higher the risk and the more vulnerable to heart attack. SHAPE Guideline aims to identify the asymptomatic “Vulnerable Patient” and offer them intensive preventive therapy to prevent a future heart attack. Knowing one’s plaque score can be a matter of life and death. Additional information is available by calling 1-877-SHAPE11 or 713-529-4484. And Additional information is available at http://www.shapesociety.org. 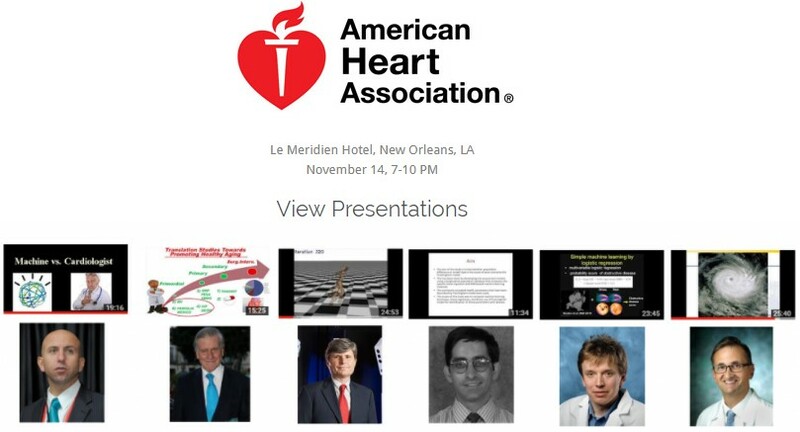 Arthur Agatston, M.D., Daniel Arking, Ph.D., Juan Badimon, Ph.D., Raymond Bahr, M.D., Daniel S. Berman, M.D., Matthew J. Budoff, M.D., Jay Cohn, M.D., Michael Davidson, M.D., Raimund Erbel, M.D., Erling Falk, M.D., Ph.D., Zahi Fayad, Ph.D., Sergio Fazio, MD, PhD, Steven B. Feinstein, M.D., Craig Hartley, Ph.D., Harvey S. Hecht, M.D., Howard Hodis, M.D., Ioannis Kakadiaris, Ph.D., Sanjay Kaul, M.D., M.P.H., Asher Kimchi. M.D., Wolfgang Koenig, M.D., Ph.D., Iftikhar J. Kullo, M.D., Daniel Lane, M.D., Ph.D., David Maron, M.D., Roxana Mehran, M.D., Ralph Metcalfe, Ph.D., Morteza Naghavi, M.D., Khurram Nasir, M.D., M.P.H., Tasneem Z. Naqvi, M.D., Jagat Narula, M.D., Paolo Raggi, M.D., George P. Rodgers, M.D., James HF Rudd, Ph.D., John A. Rumberger, PhD, M.D., Robert S. Schwartz, M.D., PK Shah, M.D., Leslee Shaw, Ph.D., David Spence, M.D., H. Robert Superko, M.D., Henrik Sillesen, M.D., Ph.D., Pierre-Jean Touboul, M.D. Nathan D. Wong, Ph.D. Chair of SHAPE Board of Directors: JoAnne Zawitoski, J.D.